In the Arctic, where warming is happening twice as fast as the rest of the planet, a Russian tanker sailed across the Northern Sea Route in record speed and without the aid of an icebreaker for the first time. On its maiden journey, the 984-foot Christophe de Margerie tanker transported liquefied natural gas from Norway to South Korea in 19 days, about 30 percent faster than the regular route through the Suez Canal, the ship’s owner Sovcomflot boasted. Crossing the Northern Sea Route, the northernmost part of the voyage, took only 6.5 days. 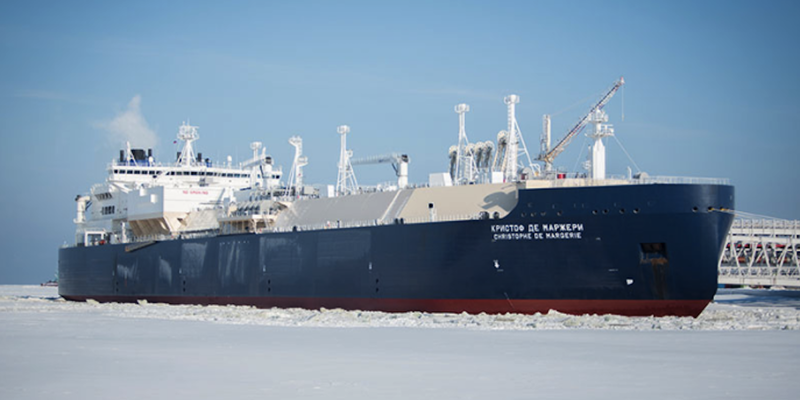 The ship’s average speed during the passage exceeded 14 knots despite sailing through ice fields 1.2 meters (4 feet) thick and “[demonstrated] the economic potential of using the Northern Sea Route for large-capacity vessel transits,” Sovcomflot said. An event which greatly excites many countries and corporations where as it should terrify them. This is not something to be excited about it is a harbinger of things to come which do not bode well for life on Earth.